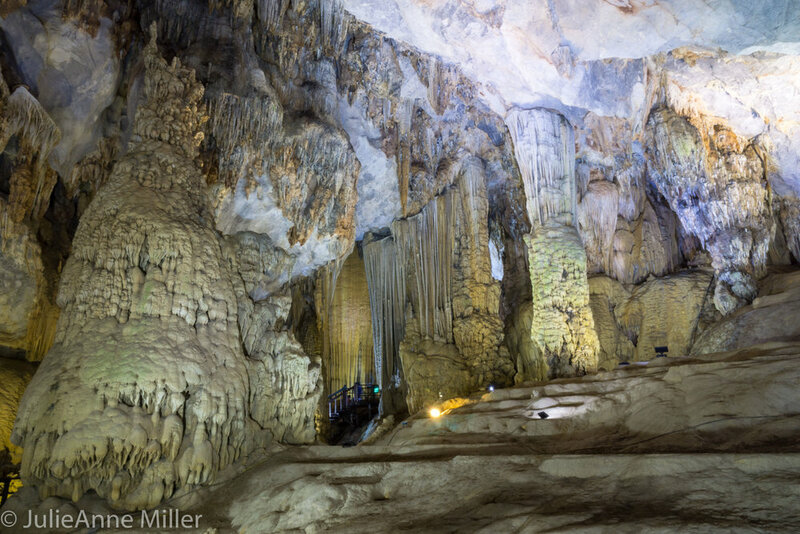 Karst: A landscape formed when soluble rock dissolves and erodes over millenia, creating sinkholes, underground rivers, and steep mountains hollowed into impossibly huge caves. The midsection of Vietnam, from Ha Long Bay to the Laotian border, has a bedrock of limestone built up from calcified sea life when this area of the country was underwater millions of years ago. Nature's wind, water, and earth movements have sculpted an incredible masterpiece here in Phong Nha - Ke Bang National Park! 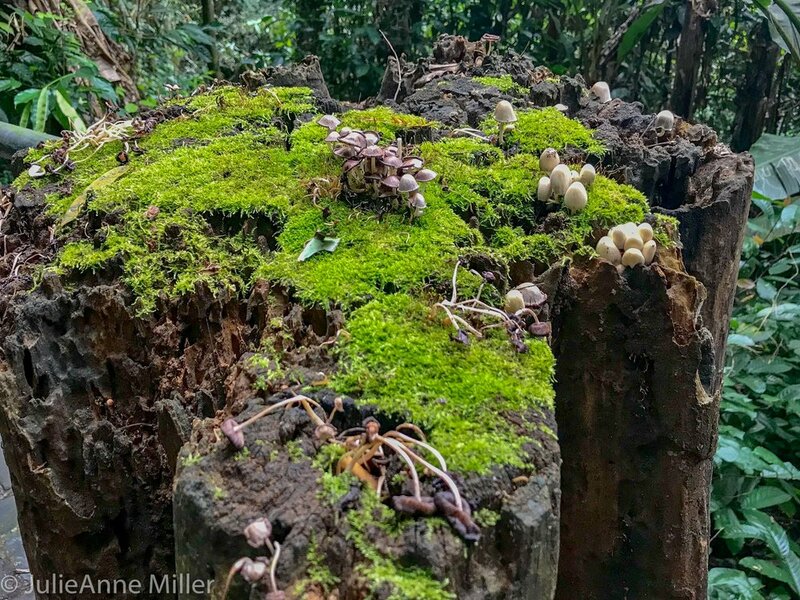 What is there to do in a karst landscape? Explore caves, of course! 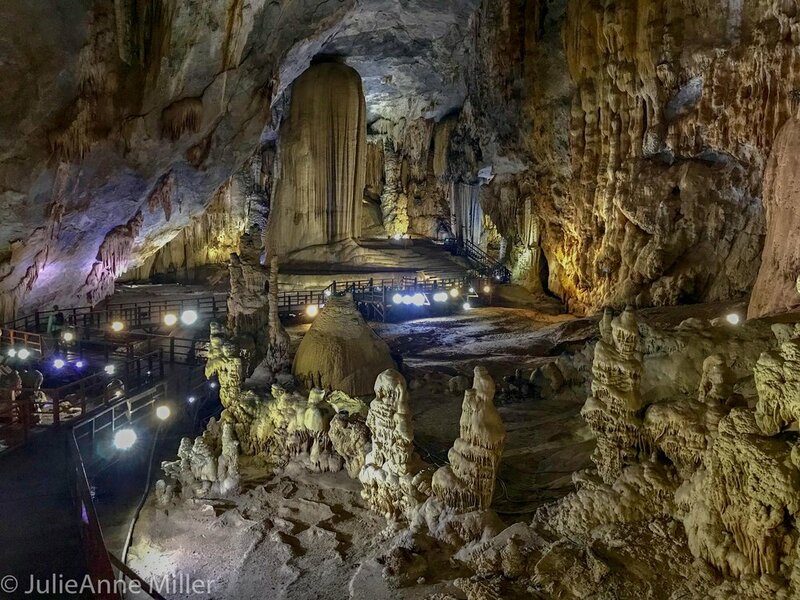 Every cave in Phong Nha Ke Bang National park offers a unique and completely different experience. Paradise Cave is ideal for photography. Stalactites and stalagmites are tastefully illuminated and a boardwalk provides a solid foundation for a tripod. 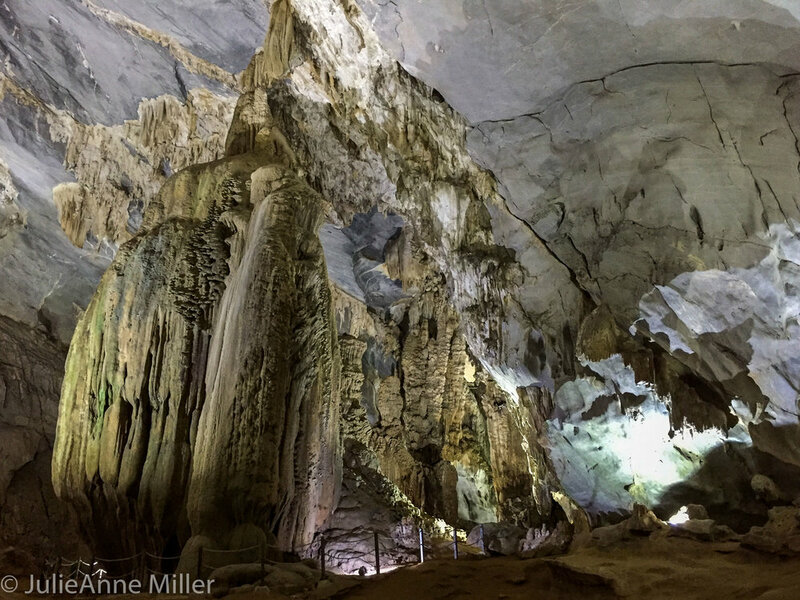 Phong Nha Cave is explored by boat; the only sounds are the dipping of the oars and drip-dripping of water droplets from above. Hang Son Doong in Phong Nha was deemed the world's largest cave in 2009 and opened for exclusive, highly-restricted tours in 2013. There is only one tour operator, Oxalis, authorized to guide adventurers to Hang Son Soong. The time and price commitment were a bit steep for us, so we opted for the Hang En Expedition instead. Oxalis's Hang En tour, at 1/10th the price of Hang Son Doong, involved a 10 kilometer hike (mud slosh) through the jungle (in the rain) with over a dozen up-to-thigh-high river crossings. We had lunch in a rural ethnic village. It was awesome!! Inside the 3rd largest cave in the world, the Oxalis crew had set up our tents before we arrived and prepared a welcoming BBQ feast for us. With bellies full, we camped cozy and warm. We awoke to the soft sound of the underground river, its ambling current continuing to mold and shape Hang En. After a hearty breakfast, we donned hard hats and followed our knowledgeable guide, Vuong, deep into the cave to explore the formations and 300 million year old fossils. The Hang En experience was natural and uncontrived. Bats squeaked, headlamps were the only illumination, and we followed a single track dirt path right through the underground river. It certainly felt like an adventure! The competent Oxalis crew -- from the porters, to the chefs, to the safety assistants -- outnumbered the nine members of our group. They were amazing!! 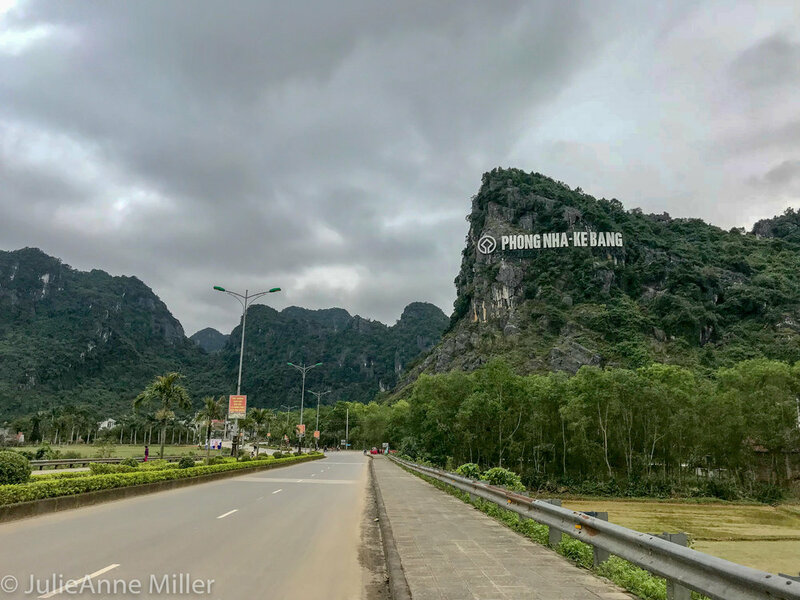 Phong Nha National Park was opened to the public only recently, around 2015. Everything about the small town and its burgeoning tourist economy is still raw. You can smell the fresh paint and optimism. Only a decade ago, the villagers were poor rice and peanut farmers. Today, they are proud business owners, creating a new and different life for their children (their words).